Shigeru Miyamoto is a very important man. 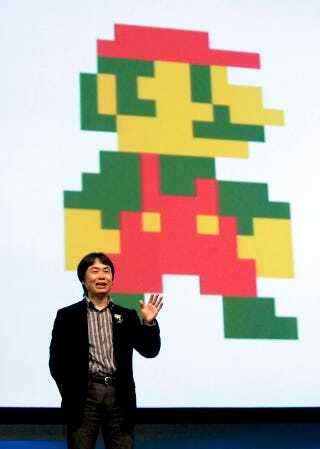 He created a whole slew of iconic games like Super Mario Bros., Donkey Kong, The Legend of Zelda and many more. He probably has better things to do than respond to fan letters. Ever since he was a young boy, Kotaku reader Ariem always dreamed of having Miyamoto play one of the game cartridges he owned. So in August 2009, Ariem sent his favorite copy of Starfox — a game Miyamoto designed and the first game Ariem beat on his own — to Nintendo's Kyoto headquarters and addressed the package to the esteemed game creator. In his letter Ariem told Miyamoto that the game creator "saved" his life — a statement he did not make lightly. "I grew up with Nintendo and your games as a major part of my life," the 22-year-old Ariem wrote, adding that his earliest memories were of his father playing Super Mario Bros. on his Nintendo Entertainment System. "Unfortunately, like many American families these days my parents divorced when I was very young and my mother earned custody of me," Ariem continued. "The stepfathers I grew up with were very abusive and I spent most of my life scared in my room. However...my father loved me very much and bought me my first gaming system; a Super NES." Ariem wrote that those games kept him "happy and free spirited for years", even after becoming bedridden for months when Ariem was hit by a car at age 11, leaving him with a broken hip. "You saved my life from a world of hate and pain and delivered me into a sanctuary of love and fun," Ariem, who now dreams of becoming a game designer, wrote. "I hope you realize how much you have changed the world and I hope that you continue doing the same." This past December, over a year later, Ariem finally received a response from Nintendo, which thanked him for the letter to Miyamoto. "Unfortunately, he [Miyamoto] could not play your Star Fox game cartridge, because he did not have SNES system. However, he autographed on it." In Japan, Nintendo released the Super Famicom, a Japanese version of the Super Nintendo Entertainment System. "We sincerely appreciate your kind words and interest in Nintendo products," the letter continued. "Sorry for the delay of replying to you." Signed, Nintendo Co., Ltd.
Miyamoto doesn't have a SNES? Nintendo's Kyoto headquarters might want to brace itself for a possible flood of Super Nintendos in case others hope to change that. Kotaku is verifying this story with Nintendo.